that's just fabulous: Happy Valentines Day! Happy Friday & happy [early] Valentine's Day everyone! I hope that you all have something fun planned for the weekend, whether it is with your loved one or with good friends. 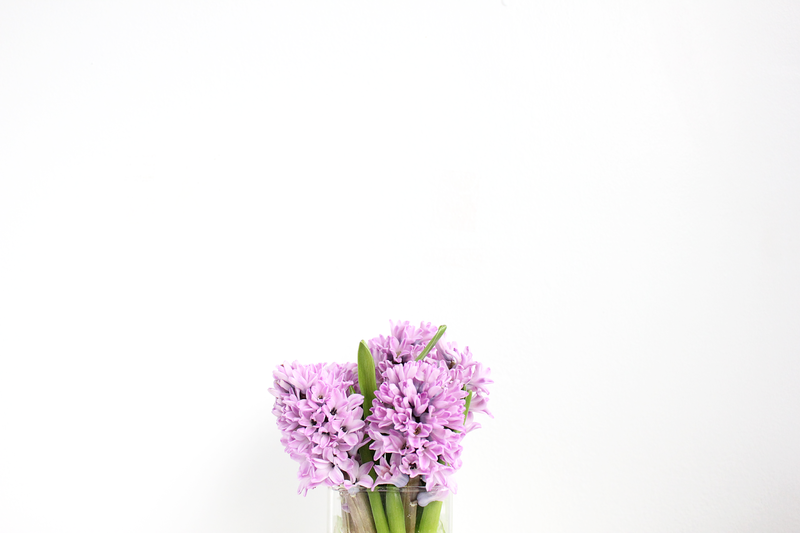 Instead of traditional roses I decided to snag these pretty light purple hyacinth for the week. They have made my house smell absolutely incredible. I think they are definitely my flower of choice for the moment. ps: Let me know in the comments below what fun things you have planned for this weekend! This is really beautiful! Have fun! Thank you Maru! Hope you had a great weekend! Sounds so fun! I had a similar weekend except we watched Magic Mike instead!